I thought I might start a thread encompassing the general miscellaneous silliness and baloney that NASA spews on an almost daily basis. Things that might not warrant an entire thread but are worthy of note and at least good for a chuckle. Saturn and Three Moons - Credit: NASA/JP - Saturn and three moons, Tethys, Dione and Rhea, seen by a Voyager spacecraft on August 4, 1982, from a distance of 13 million miles. The Voyager spacecraft were launched in 1977 and are still out there at the edge of our solar system, says NASA, so this 13-million mile photo was taken with 1970s era technology and then beamed back to Earth via NASA's incredible radio communications system over a distance of millions of miles. And, of course, no stars are visible even though the faintly illuminated specks of Saturn's moons from 13 million miles away are quite visible in the photo. I'm not sure why this photo was included in an article about the Cassini Mission since it is part of the much earlier Voyager hoax mission ... but there you go. My, my! What are those odd rectangles doing in space? I guess Saturn must have been passing through one of those weird dimensional time warp thingies that the Star Ship Enterprise was always running into! 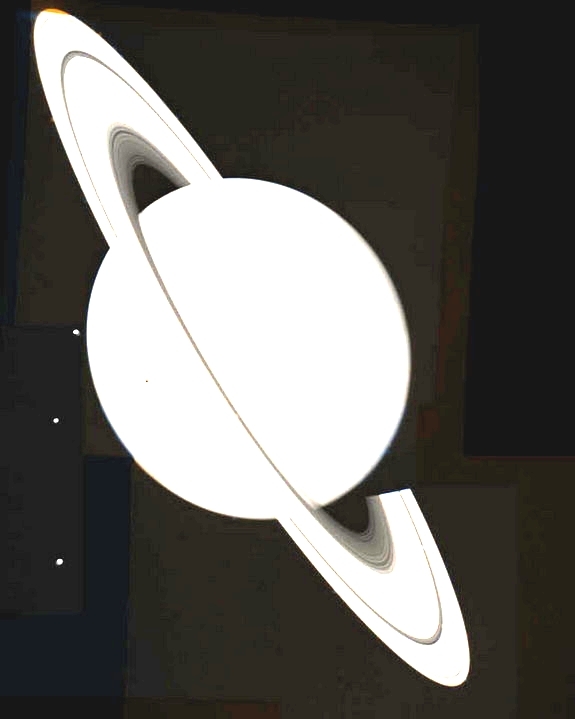 And, kinda funny how Saturn's moons are all in a separate rectangle of their own too, huh? You don't think the image was, you know, manipulated or anything, do you? The text is completely suggestive too, considering the time. This article is so ludicrous that it belongs in the comedy section, http://washingtonexaminer.com/watchdog-alert-fbi-arrests-nasa-contract-employer-trying-to-flee-to-china/article/2524691. We supposedly have a bad guy Bo Jiang a Chinese national scientist employed by a NASA contractor outed by Congressman Rep. Frank Wolf, R-VA last week. I guess Bo heard the Congressman out him and then decided to buy a one way ticket to China. So what did Bo do? The FBI is “investigating conspiracies and substantive violations of the Arms Export Control Act,” according to the FBI’s arrest warrant. "Ronda Squizzero, an FBI Special Agent said in documents Wolf made available today concerning Jiang’s arrest that he “was leaving the United States abruptly to return to China on a one-way ticket.”"
"Jiang also is charged with making a false statement to federal law enforcement agents, including his attempt to conceal a “laptop, and old hard drive and a SIM card,” according to the FBI agent." -- yea, I can see a smart guy NASA employee toting around a big old hard drive when he could put the same data on a terabyte flash drive. It only gets more ridiculous. I cannot believe I used to fall for this mess. Maybe a clue. We know there is no ISS or Space Shuttle. Why was Bo arrested? "Wolf also said he believes Jiang’s information “may pertain to the source code for high-tech imaging technology that Jiang has been working on with NASA. This information could have significant military applications for the Chinese Peoples Liberation Army.”" Would that be CGI imaging technology? Such a farcical story. Walker has said he was inspired to write the song after an encounter with a street performer in a New Orleans jail and that the song does not refer to the famous stage and movie personality Bill "Bojangles" Robinson. Walker said while in jail for public intoxication in 1965, he met a homeless white man who called himself "Mr. Bojangles" to conceal his true identity from the police. He had been arrested as part of a police sweep of indigent people that was carried out following a high-profile murder. The two men and others in the cell chatted about all manner of things, but when Mr. Bojangles told a story about his dog, the mood in the room turned heavy. Someone else in the cell asked for something to lighten the mood, and Mr. Bojangles obliged with a tap dance. Voyager 1 has left the solar system, says NASA! The little 1977 spacecraft's 35-year-old radio sent back data to NASA from 11 billion miles away which indicates it has entered interstellar space -- or, at least, some other non-solar system place which NASA is calling the "magnetic highway." How they determined its appearance isn't clear. Voyager 1 does supposedly have cameras on board but I can't find any photos that NASA claims it sent back to them. Amazon founder Jeff Bezos and his team have recovered several Apollo F-1 rocket engines from the bottom of the ocean! "Finally, I want to thank NASA. They extended every courtesy and every helping hand – all of NASA’s interactions were characterized by plain old common sense, something which we all know is impressive and uncommon. We're excited to be bringing a couple of your F-1s home." "NASA is one of the few institutions I know that can inspire five-year-olds. It sure inspired me, and with this endeavor, maybe we can inspire a few more youth to invent and explore." I suppose these people think that if there are rocket engines at the bottom of the ocean, the Apollo fairy tales must be true. Now the question that I have is the following: Is the founder of Amazon, Jeff Bezos in on this NASA scam? Or is he just a useful idiot who thinks he can fly to the moon? 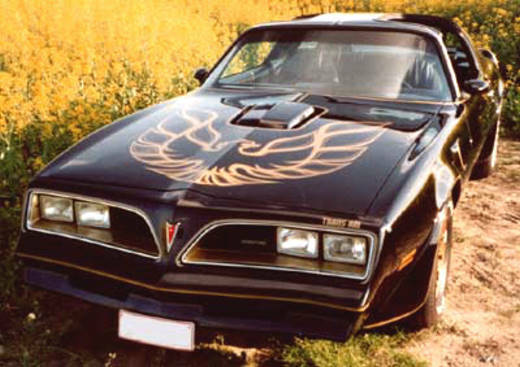 You realize that the $100 point & shoot camera in your pocket has direct lineage to the 70s technology that nasa used? you really don't think it was possible for them to stitch together reasonable photos with their massive budget? how else do you think we got to where we are with ccd sensors? How does one reply to such nonsense? ^ Ask him to find another photo taken in the 1970s of an object 13 million miles away that is comparable in detail to the Saturn photo using a lens that would fit on a Voyager spacecraft. Well I'm sure he would just produce another silly NASA fake photo from Voyager, no? Also, this idea that voyager took three photos and then stitched them together is laughable. Does NASA make this claim? ^ Not that I know of. As expected, his response was ridiculous in nature. He basically said that only NASA had access to advanced camera technology and without a telescope, it would be impossible to take such a hi-res image. Nonsense to say the least. In any case, I found this today and was quite amused. "The plan would speed up by four years the existing mission to land astronauts on an asteroid by bringing the space rock closer to Earth, Sen. Bill Nelson said. The robotic ship would capture the 450 metric-ton, 7.6-metre asteroid in 2019. Then using an Orion space capsule, now being developed, a crew of about four astronauts would nuzzle up next to the rock in 2021 for spacewalking exploration, according to a government document obtained by The Associated Press. Nelson said this would help NASA develop the capability to nudge away a dangerous asteroid if one headed to Earth in the future. It also would be training for a future mission to send astronauts to Mars in the 2030's, he said. Once a suitable rock is found, it would be captured with the space equivalent of "a baggie with a drawstring. You bag it. You attach the solar propulsion module to de-spin it and bring it back to where you want it," explained Donald Yeomans, who heads NASA's Near Earth Object program that monitors close-by asteroids. anonjedi2 wrote: As expected, his response was ridiculous in nature. He basically said that only NASA had access to advanced camera technology and without a telescope, it would be impossible to take such a hi-res image. Nonsense to say the least. The team at NASA coming up with this nonsense is the same team which came up with the idea to land a rover on Mars with a flying "Sky Crane." This is NASA private contractor JPL's Advanced Projects Design Team, or "Team X." Watch video for a good laugh. "A ghostly and mysterious new image of Saturn's largest moon, Titan." The Cassini spacecraft peers through Titan's thick clouds to spy on the region dubbed "Senkyo" by scientists. The dark features include vast fields of dunes, composed of solid hydrocarbon particles precipitated out of Titan's atmosphere. 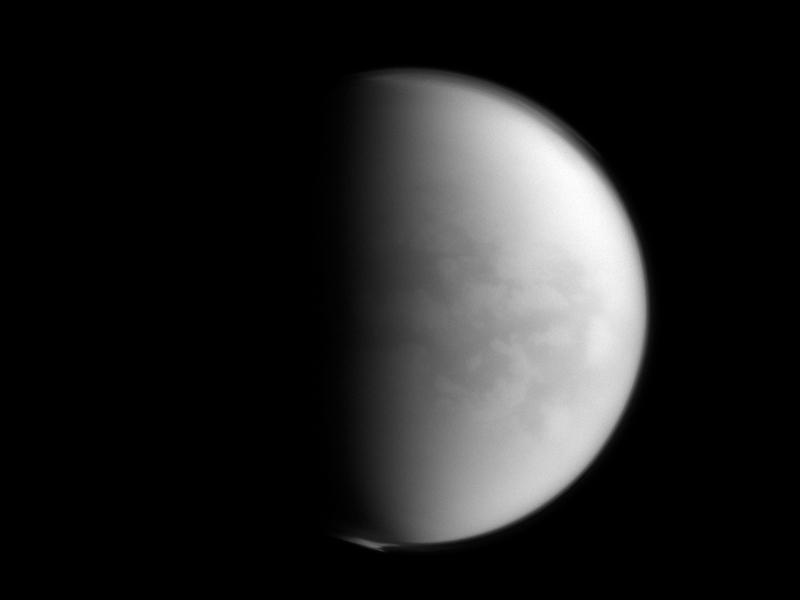 And Titan's southern pole is shrouded in the recently formed polar vortex. Titan, Saturn's largest moon, is 3,200 miles (5,150 kilometers) across.